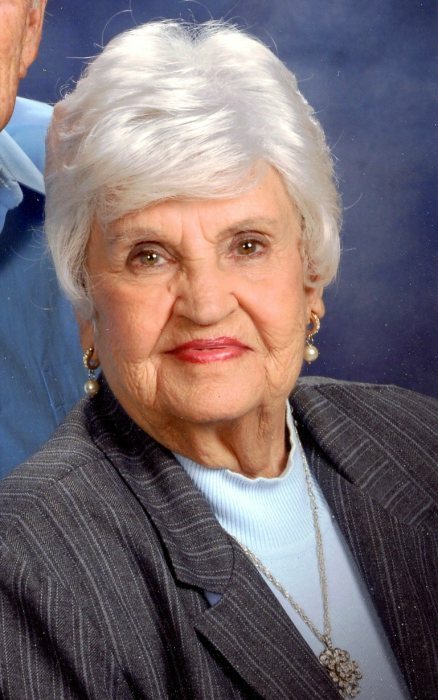 Peachland - Mrs. Margie Bowers Baucom, 86, died Thursday, January 17, 2019 at Atrium Health Union in Monroe. Margie was born December 30, 1932 in Anson County, NC a daughter of the late Martin Albert Bowers and the late Fannie Lee Thomas Bowers. She was a graduate of Burnsville High School and was retired from Stanly Knitting Mills. She was a life-long member of Hopewell United Methodist Church, where she sang in the choir, taught children's Sunday school class and children's choir. One of her favorite past times was painting. She painted mostly landscapes and florals but recently began painting animals. She also enjoyed time spent with her grandchildren. Surviving are her husband of 65 years, Tom Baucom; her daughters and son-in-law, Daphne and Ricky Mullis and Melody Poteat both of Peachland; her grandchildren, Mike Mullis, Tommy Poteat and Jacob Poteat all of Peachland, Mandy (Joe) Almond of Albemarle and Jennifer (Johnny) Kellogg of Wadesboro; 6 great-grandchildren and her sisters-in-law, Mollie Bowers and Julia Ann Bowers both of Polkton. In addition to her parents, she was preceded in death by her brothers, Baxter, Jack and Curtis Bowers. In lieu of flowers, memorials may be made to Hopewell United Methodist Church Cemetery Fund, c/o, Susie McSwain, 424 Pork Rd., Peachland, NC 28133.